Wedding flowers are such an important part of your wedding day! Of course, you want your wedding blooms to suit you and your wedding – but looking at the latest 2018 wedding flower trends can definitely inspire you to create arrangements that are utterly unique. What are these trends and why is it that they are so appreciated? We have some tips for you – so read on and find out more. We’ve seen these popping around 2017 as well – but this year, they’re announcing an even more popular presence in wedding décor. The great news? You can adapt this trend to any type of wedding, with any type of flower. From wreaths made entirely out of greenery to wreaths that incorporate intricate flower combinations, there’s something for everyone – for the ceremony and for the reception too. Moody colors. Planning a fall or winter wedding? Forget about the classic hues suggested by the seasons outside and settle on moody color combinations – such as dark greens and purples. There are a lot of flowers you can use with this trend – and trust us when we say that they will look absolutely awe-inspiring. Gorgeous, gorgeous idea! Wild flowers have been with us for quite some time – but did you know that in 2018 branches and other forage elements can be included too? 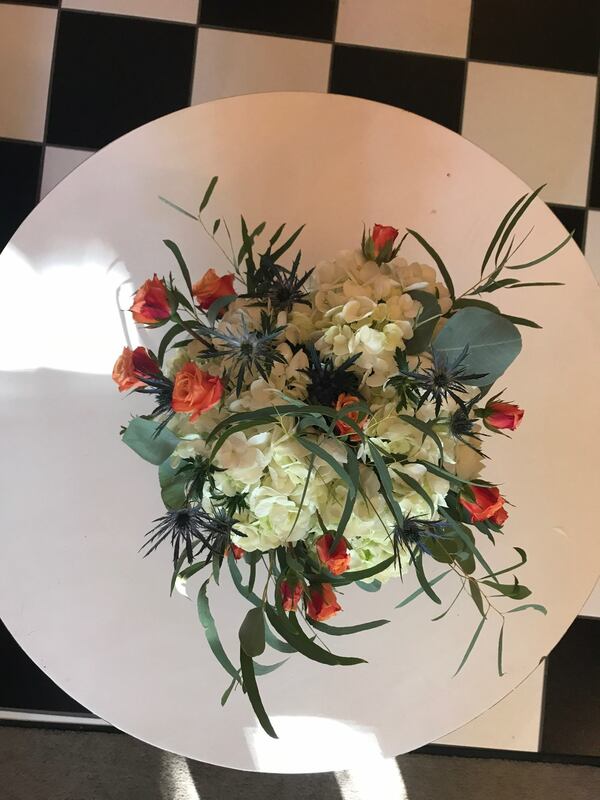 They will add even more wilderness and naturalness to your wedding flower arrangements, creating a fantastic vibe and making a huge statement about the beauty of raw nature! Looking for a superb wedding venue near the water? Contact The Oaks! Our waterside wedding venue is the most beautiful one you’ve ever seen! From the stunning landscape and waterscape to the elegance of the venue itself, everything here will impress you and your guests. Give us a call right now and schedule your personal tour of our beautiful grounds!